In the last ten days, Feeding the 5000 events have fed close to 10,000 Americans. First, there was Oakland. Then Chapel Hill. Different coasts, different gatherings, but the same outcome–a public feast from food that would have gone to waste. I was fortunate enough to participate in both of these gatherings, whose name nods at the New Testament. The idea is the brainchild of the Britain-based Feedback. 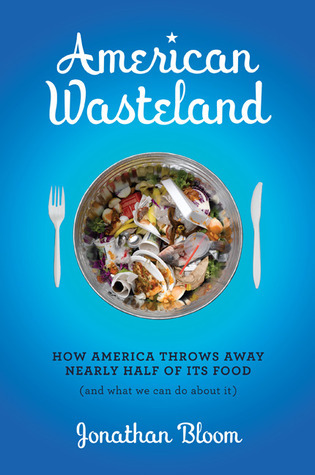 While the group has held many such events in Europe, this month marks a new, American phase of the anti-food waste movement. The Oakland event, organized largely by End Food Waste, featured a delicious sweet potato curry soup, site-made smoothies and a bread and produce give away. All told, the event made use for more than 11,000 lbs (5.5 tons!) of food that otherwise would have been discarded. An incredible result, prompted by the hard work of many volunteers. There were several organizations and related groups tabling, and awareness-raising speeches from food waste authors and activists and cooking demos from local chefs. Even the Mayor of Oakland addressed the crowd, which was a mixed collection of people, but included a decent amount of food insecure folks. A few days later, the Feeding the 5000 event at University of North Carolina Chapel Hill was different in all but the idea. Organized by Carolina Dining Services, the event happened in a central campus location–The Pit. Not surprisingly, there was a massive turnout for a quite elaborate menu because, what student doesn’t like a free meal? In all, 7,500 people ate lunch and hopefully saw the signs communicating that the Jamaican Fish Stew came from bycatch, the vegetable curry featured gleaned veggies and the Brunswick Stew included hog jowls that might not have been used. An awareness event was held later that night at UNC with full presentations on the day’s details and the bigger picture. It’s almost a given, but it’s worth noting that for both events, the unserved food was sent to local soup kitchens. No matter the setting, I expect these kinds of food waste awareness events to become more common. Hope to see you at a public feast sooner rather than later! This entry was posted in College, Events and tagged Chapel Hill, F5K, Feeding the 5000, food waste, Jonathan Bloom, Oakland, UNC, Wasted Food. Bookmark the permalink. Both comments and trackbacks are currently closed.